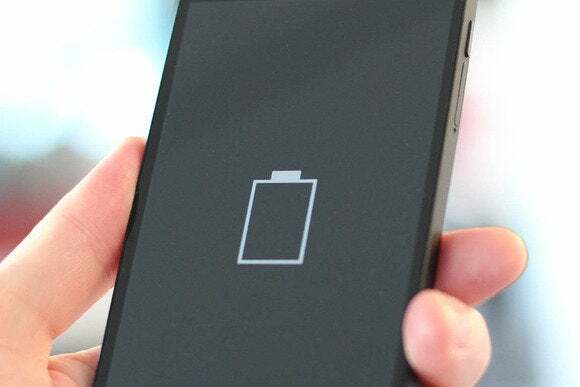 Researchers at Stanford University have developed a new battery that can be recharged in about a minute and is safer than the lithium ion cells used in everything from smartwatches to passenger jets. It could one day mean super-fast charging of smartphones and other gadgets—and interestingly, a major step in the development came largely by chance. The battery uses aluminum-ion cells, which are much cheaper than lithium-ion. They’re also high performance and are not prone to bursting into flames or exploding when damaged, as lithium ion batteries can do. “Our new battery won’t catch fire, even if you drill through it,” said Dai Hongjie, a professor of chemistry at Stanford. His work is detailed in the April 6 issue of Nature. Research on aluminum-ion batteries isn’t new but a sticking point to a commercial product has always been finding suitable materials for the anode and cathode that maintain their performance over repeated charge and discharge cycles. “We accidentally discovered that a simple solution is to use graphite,” said Dai. The result is a battery that can survive 7,500 charging cycles without losing performance. That’s well over the roughly 100 cycles that other prototype aluminum-ion batteries can last at present and also more than the typical 1,000 cycles from current lithium-ion batteries, according to the university. The prototype developed by Dai’s team combines an aluminum anode with a graphite cathode in a pouch of an ionic liquid electrolyte, which means the battery is also flexible. That’s an attractive feature for electronics companies, looking to squeeze batteries into tiny open space inside products, and even car makers, which want to layer batteries around curves inside the body of automobiles. The current prototype produces about 2 volts, which is less than the 3.6 volts from a conventional lithium-ion battery, and its energy density—the amount of electrical energy stored in a given unit of mass—is also lower. The aluminum-ion battery developed by Standard has an energy density of 40 watts per kilogram compared to between 100 and 260 watts per kilogram for lithium ion. But the Stanford team is optimistic that these problems can be overcome.